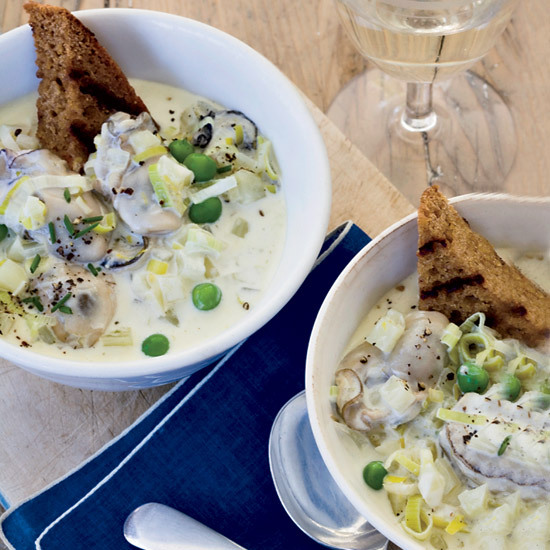 These brilliant recipes include John Besh’s delicious oyster tartlets, and a velvety chowder with bacon. At The Sportsman in England, chef Stephen Harris celebrates the restaurant’s close proximity to the beach and some of the best oyster beds in the country. 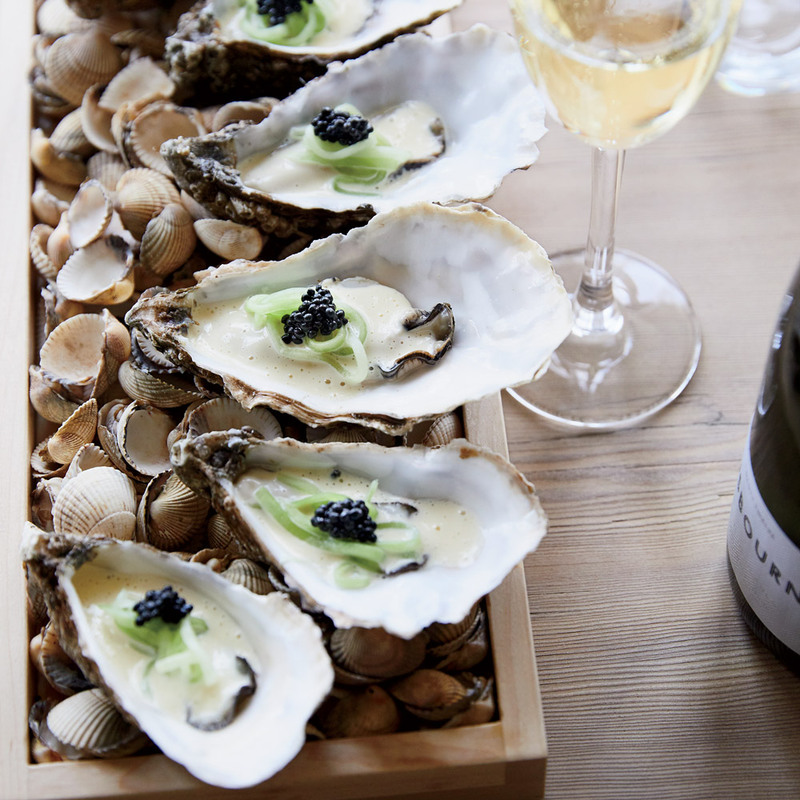 Here he poaches the oysters in their own liquor before putting them back in the shells and topping with creamy beurre blanc, tangy pickled cucumber and briny caviar. 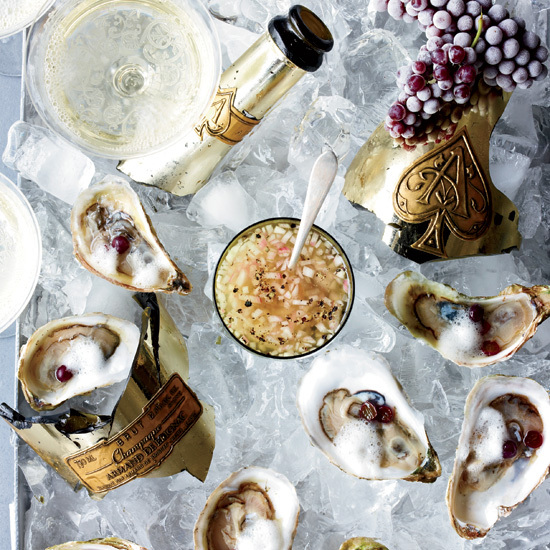 Mario Carbone tops the oysters with a tangy vinegar-shallot mignonette, plus a Champagne-infused foam and frozen Champagne grapes. As a child, New Orleans chef John Besh loved when family friend Mrs. 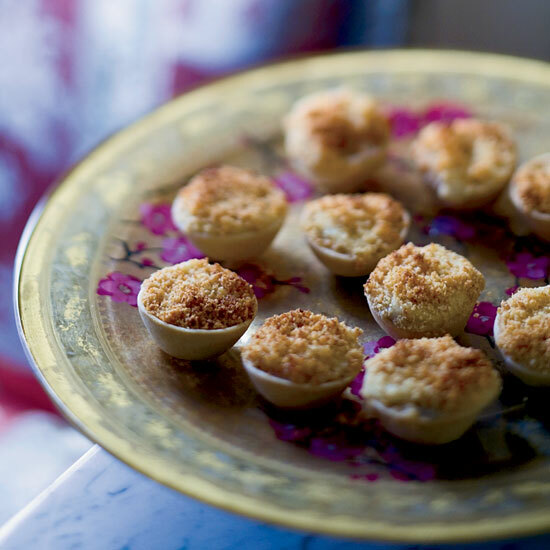 Slaughter made little puff pastry cups and filled them with oysters in cream sauce. 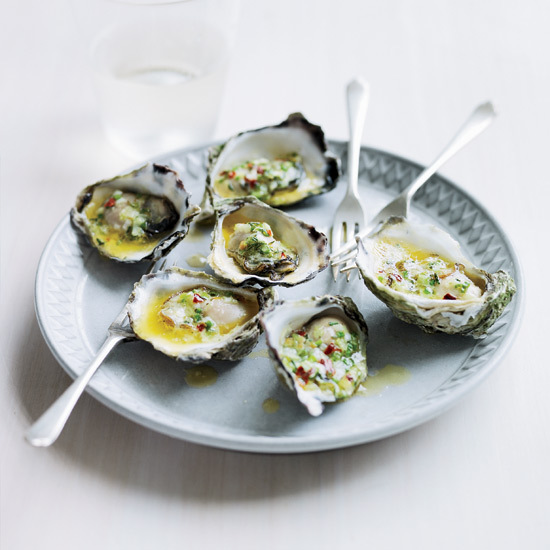 In this version, he places the oysters in mini tartlet shells, then tops them with a creamy horseradish sauce and crispy bread crumbs. 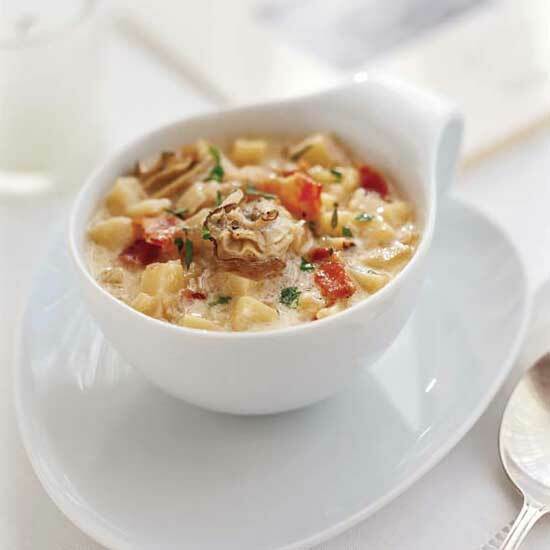 This renowned baked oyster dish was created at Antoine's Restaurant in New Orleans in 1899 by the proprietor, Jules Alciatore. According to legend, the dish was created as a substitute for baked snails, which were hard to obtain from France. It was named in honor of John D. Rockefeller, at that time one of the world’s richest men, because of the sauce’s intense richness. 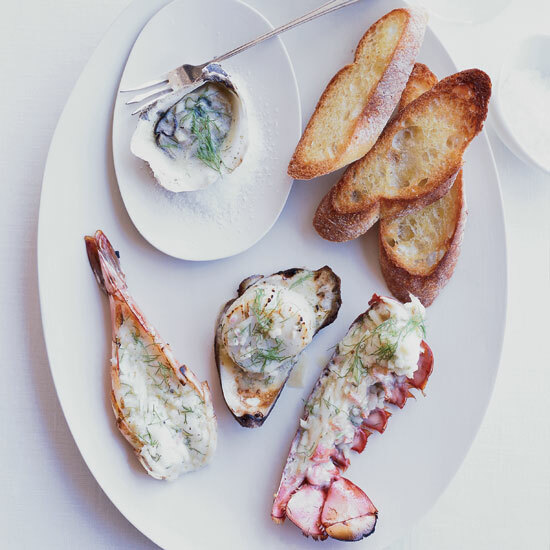 The following recipe is the old Delmonico restaurant’s take on the dish, with the Rockefeller sauce base used not only to make the Oysters Rockefeller appetizer, but also used as a spread on toast to create canapés. 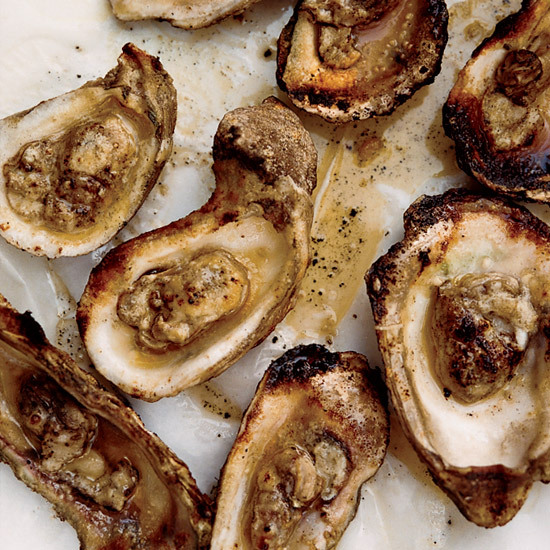 "Oysters on the half shell can wobble on the grill," James Holmes says. 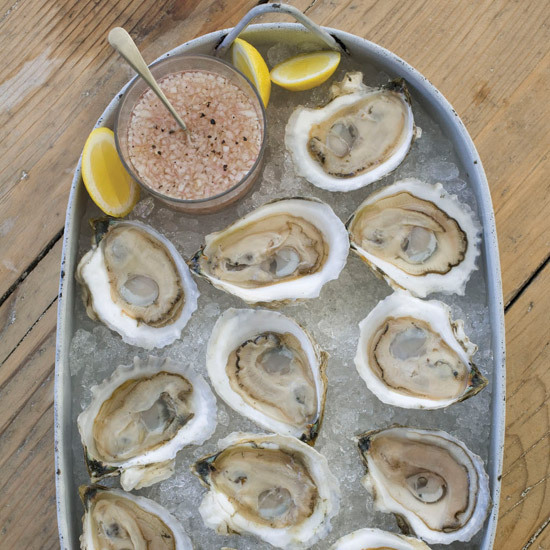 "hat's a good thing—some butter will spill onto the coals, which smokes the oysters at the same time." 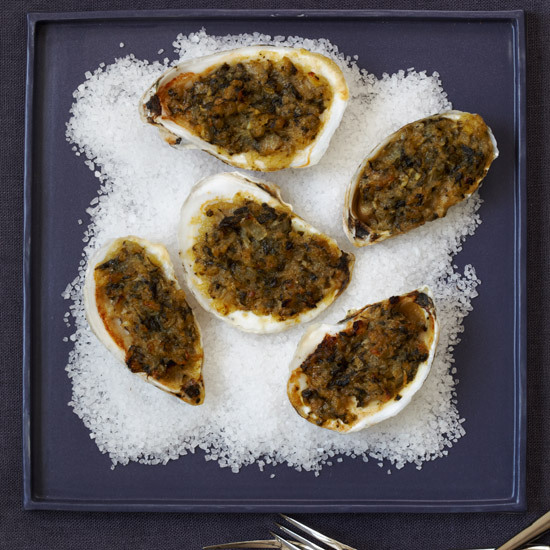 Bobby Flay tops his oysters with a blend of butter, tarragon and hot sauce, then returning them to the grill so the butter melts into little pools in the shells. 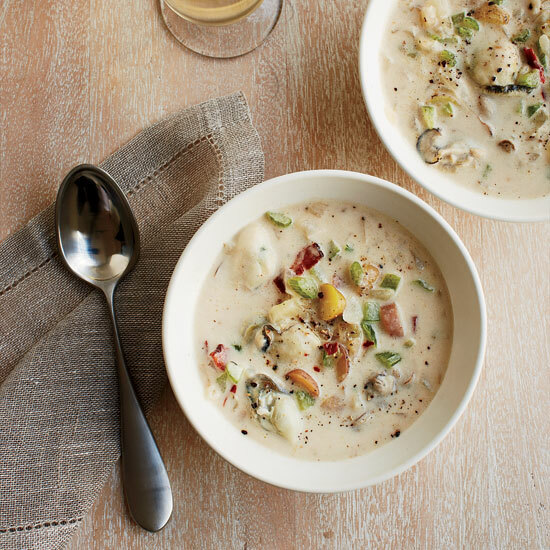 This light but intensely oystery soup was inspired by a recipe from Joanne Hendricks. Salsify is a root vegetable shaped like a skinny parsnip; it has blackish skin with white flesh and tastes a little like artichoke hearts. 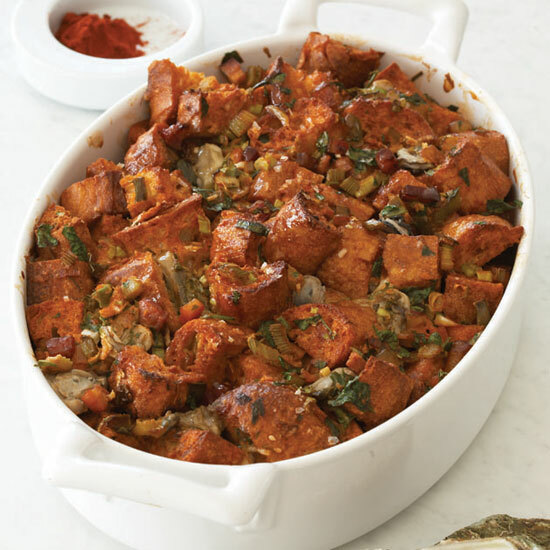 If you have trouble finding it, you can substitute Jerusalem artichokes (sunchokes) or, as a last resort, the pedestrian potato. 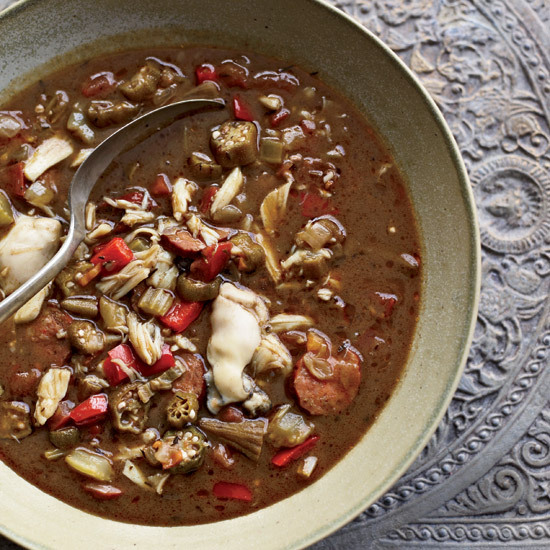 This sensational seafood-packed gumbo comes from TV personality and F&W contributor Andrew Zimmern. It’s terrific in its simplicity, with a foolproof roux (the mix of fat and flour that is the basis for all gumbos) that requires just 15 minutes of stirring instead of the usual hour. 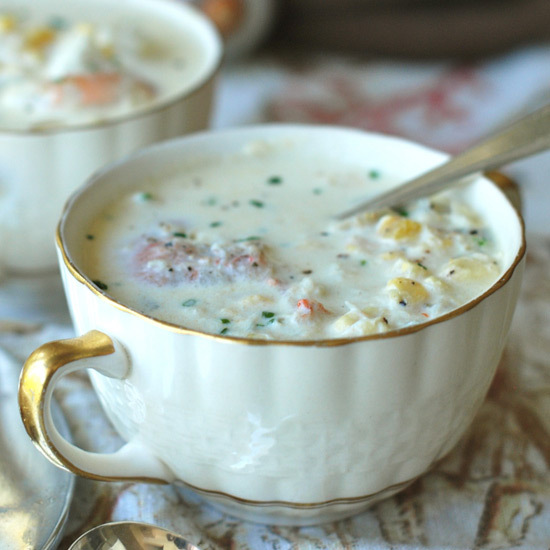 Chef John Besh says, "This is the only dish worthy of both Thanksgiving and Christmas dinner at our house." Why? Because it's unbelievably delicious—a bready dressing that's spicy, crispy and nicely briny. 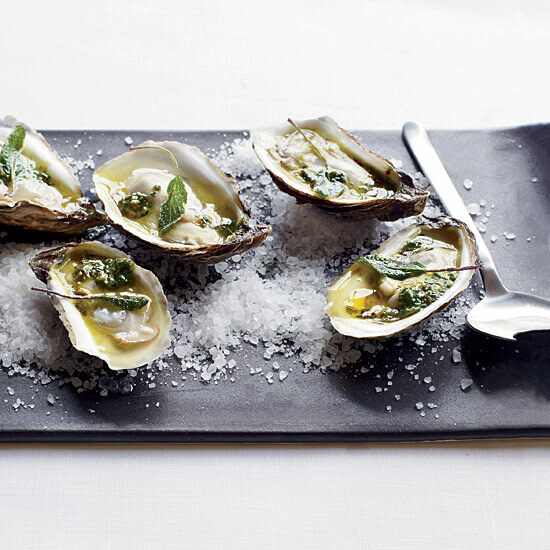 The mingling of oyster juices with butter, herbs, chile and pastis makes these irresistibly slurpable. 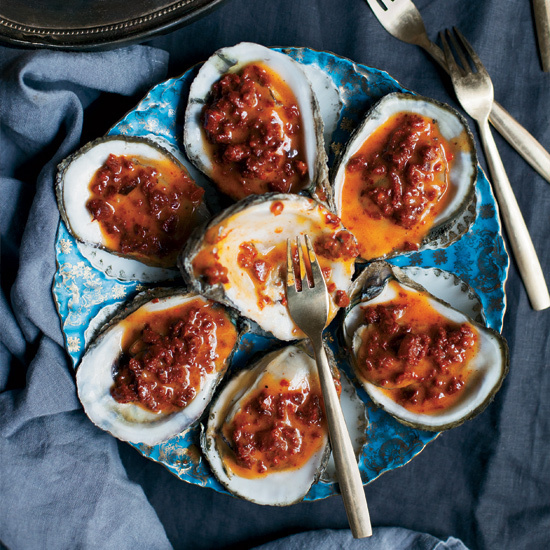 No shucking necessary: Once the oysters open on the grill, simply top them with David Kinch’s smoky, tangy butter. 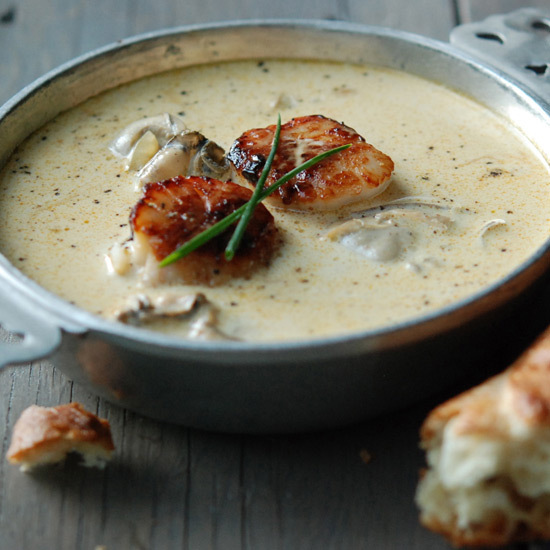 This is Bryant Ng’s twist on a classic seafood pan roast. 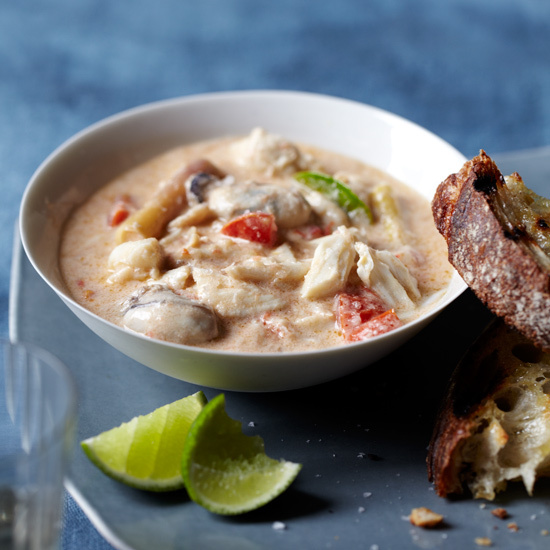 “I thought, Why not do a soup with oysters?” In place of the usual heavy cream, he enriches the broth with fragrant coconut milk. 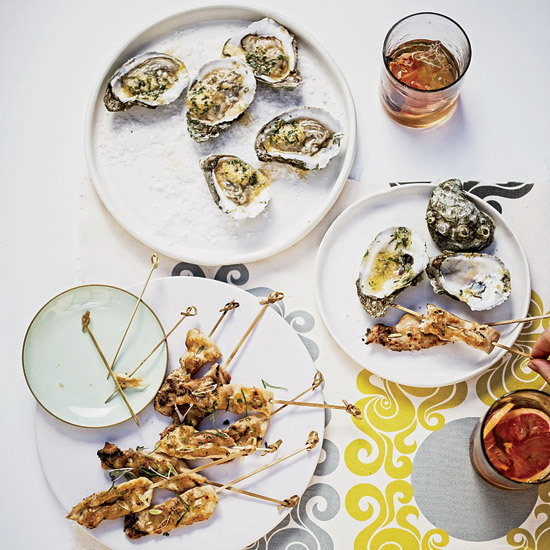 This ingenious, briny sauce couldn’t be simpler: Chef René Redzepi purees raw oysters with a little of their liquor, plus rice vinegar and oil. 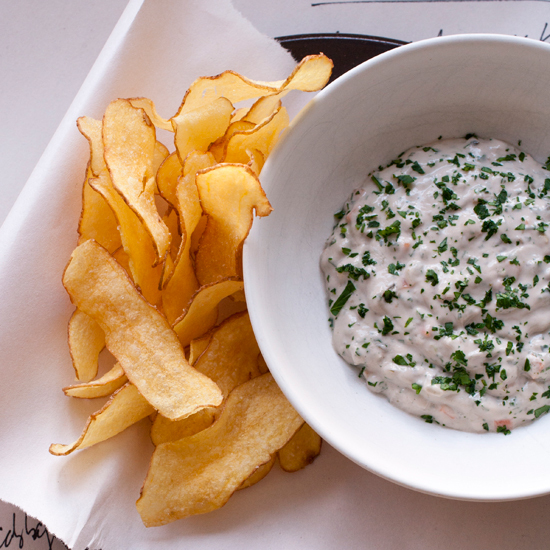 He adds diced blanched vegetables for texture, then serves the dip with potato chips. 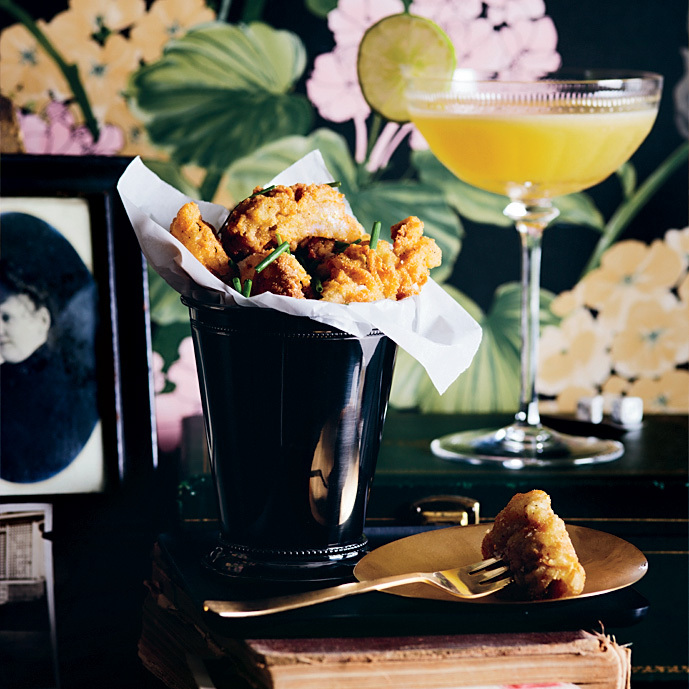 Inspired by the nostalgic New Orleans fried oyster po'boy, Pontchartrain Hotel executive chef Chris Lusk prefers larger, meatier Louisiana oysters for this dish. If you can't find them, Wellfleets are a good substitute.